George Zimmerman's television interview in which he said he had few regrets about the night he killed teenager Trayvon Martin has been entered as possible evidence in his upcoming murder trial. In a wide ranging interview with Fox News' Sean Hannity Zimmerman, appearing articulate and calm, said he neither regretted carrying a gun that night nor pursuing the 17-year-old Martin. "I feel that it was all God's plan," he told Hannity. When asked if there was "anything you might do differently," Zimmerman responded, "No Sir." This morning the prosecution entered the tape of the interview into discovery as and could attempt to admit it as evidence in Zimmerman's trial on charges of second degree murder. Zimmerman, 28, has maintained that he shot Martin in self-defense after Martin attacked him in Sanford, Fla., on the night of Feb. 26. Towards the end of the interview, following commercial break, Zimmerman pivoted towards the camera and addressed it directly, saying he misunderstood Hannity's earlier question about whether he had any regrets that night. "I do wish that there was something, anything I could have done that would have put me in the position that I wouldn't have to take his life," he said. Granting the interview will likely haunt Zimmerman, veteran legal analyst and defense attorney Mark Eiglarsh told ABC News. "He has impeached himself publicly, this is going to be a huge problem for him… and the prosecutors must be extremely pleased... He was making inconsistent statements that they can use in a trial against him." 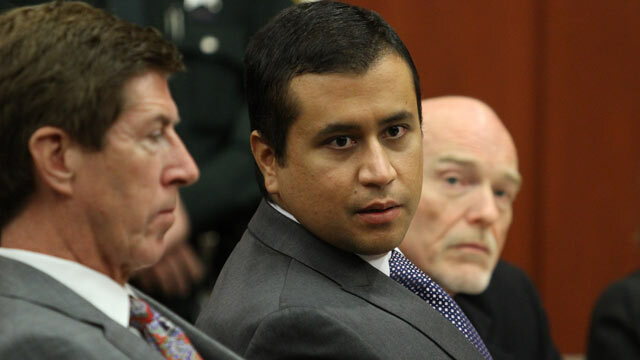 And some are now questioning whether Zimmerman has begun disregarding his attorney's advice. After his interview with Hannity Thursday, Zimmerman abruptly cancelled an interview with ABC News' Barbara Walters, which his attorney Mark O'Mara had set up. Walters said on "The View" today that she arrived to do the interview Wednesday and found a "stubborn" Zimmerman dressed in a T-shirt and demanding certain conditions from her that she was unwilling to agree to. Walters would not specify what Zimmerman asked for in exchange for the interview, but said that she would never agree to it. She noted that Zimmerman's attorney had promised her an interview earlier in the week and said today that O'Mara "wanted him to do the interview." Walters said that it was Zimmerman who renegged on the promise after she flew down to Orlando for the appointment. She said that Zimmerman told her during their conversations that he was in "desperate" need of money, as he had apparently already spent the bulk of the more than $200,000 raised through donations since April. Minutes after Walters' discussion of Zimmerman on The View, Zimmerman made a surprise phone call to the studio and asked to be put on the air via phone. Walters declined Zimmerman's request and said on air, "Mr. Zimmerman, if you could not do the interview yesterday, I don't think we should do a quick one today. In the future if you feel differently, we will consider it." Zimmerman also decided to reactivate his fundraising website, TheRealGeorgeZimmerman.com in order to raise more money. He created the website in April without telling his attorneys at the time, but later took it down after hiring O'Mara as his lawyer. A representative for O'Mara said that the attorney had acquiesced to Zimmerman's request to re-launch the website over which Zimmerman would be granted editorial control. It would be primarily used to solicit donations. Zimmerman has been described as "erratic" and difficult by his former attorneys, who quit after saying that Zimmerman would not listen to their advice. Attorneys Craig Sonner and Hal Uhrig said in April that they were withdrawing from the case because they had lost contact with Zimmerman, who refused to answer their calls, texts and emails. Sonner said that Zimmerman had independently been talking to Hannity and calling the Florida State Attorney Angela Corey against his advice. Zimmerman turned himself into authorities shortly after his attorneys quit, and was subsequently charged. He is now represented by O'Mara. O'Mara did not return calls for comment.